This 60 minute class seeks to help you achieve physical, mental, and emotional relaxation through gentle Hatha Yoga. 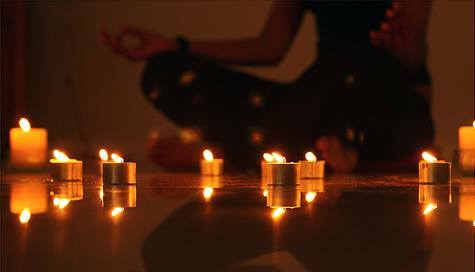 Enjoy this Candlelight class to relax, unwind, and relieve tension in the body, heart, and mind. A nourishing way to end the day! This class is suitable for all levels/includes adjustments. Modifications for injuries/only gentle inversions will be offered. Poses are held for 3 – 6 breaths releasing tight muscles and bringing awareness with aromatherapy, soothing music, and candlelight. Each class in this series will be built around helping yogis find their truest selves.